Domes and spires soar thousands of feet above the floor of Yosemite Valley while some of the world's highest waterfalls plunge over its cliffs. 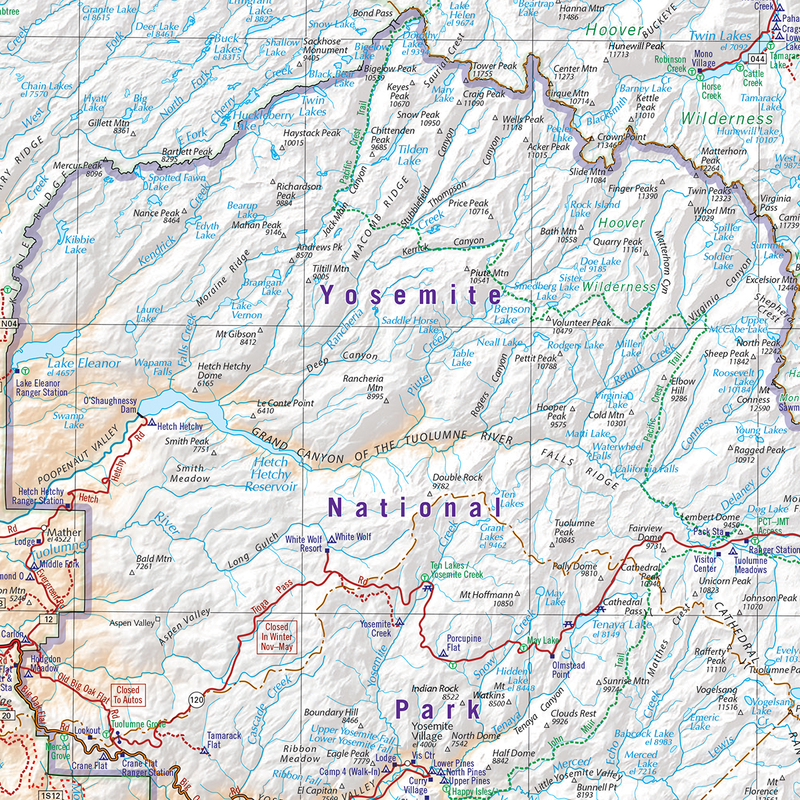 Make the most of your trip to Yosemite with this 3-in-1 map that features a regional map of the central Sierras, an enlarged map of Yosemite Park, and a magnified view of Yosemite Valley. Includes a Recreation Guide and index. 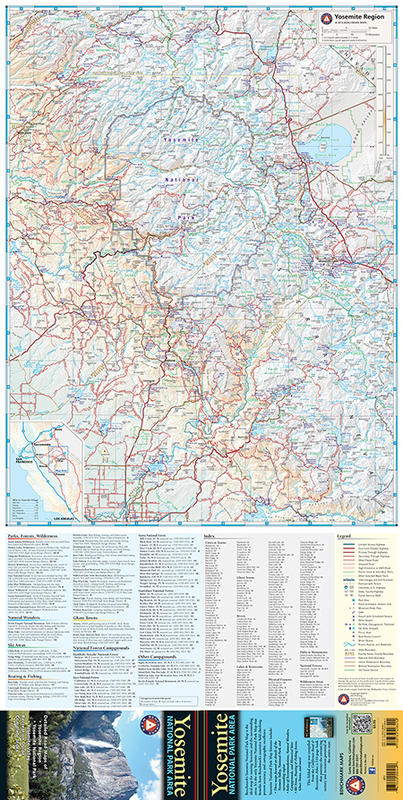 ISBN: 9780783498492 Cover:4" x 9" Sheet: 18" x 35.75"